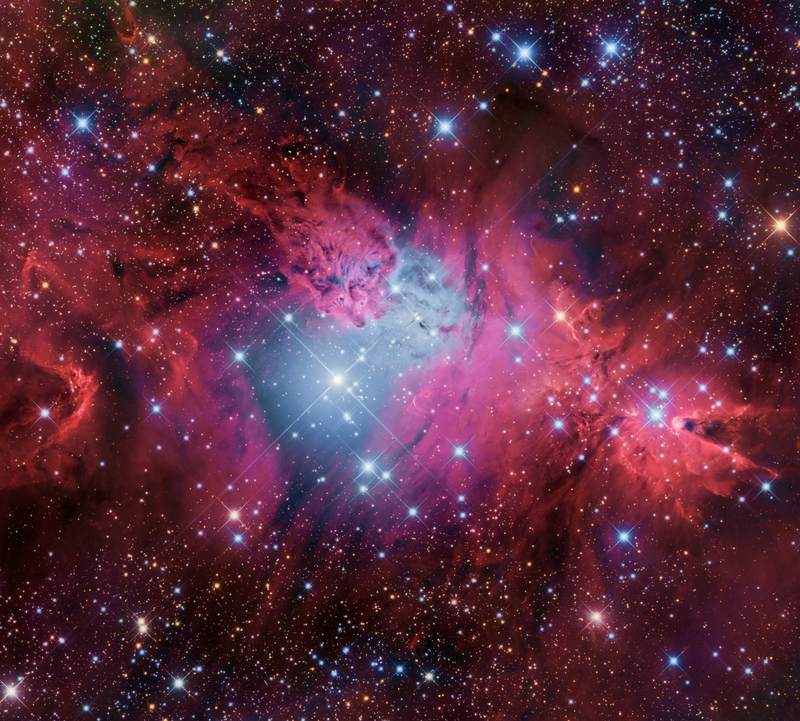 Its cast of cosmic characters includes the the Fox Fur Nebula, whose dusty, convoluted pelt lies near the top, bright variable star S Monocerotis immersed in the blue-tinted haze near center, and the Cone Nebula pointing in from the right side of the frame. Of course, the stars of NGC 2264 are also known as the Christmas Tree star cluster. The triangular tree shape is seen on its side here. Traced by brighter stars it has its apex at the Cone Nebula. The tree’s broader base is centered near S Monocerotis.